The sun shines differently here. The nights are longer, the drinks more enjoyable. 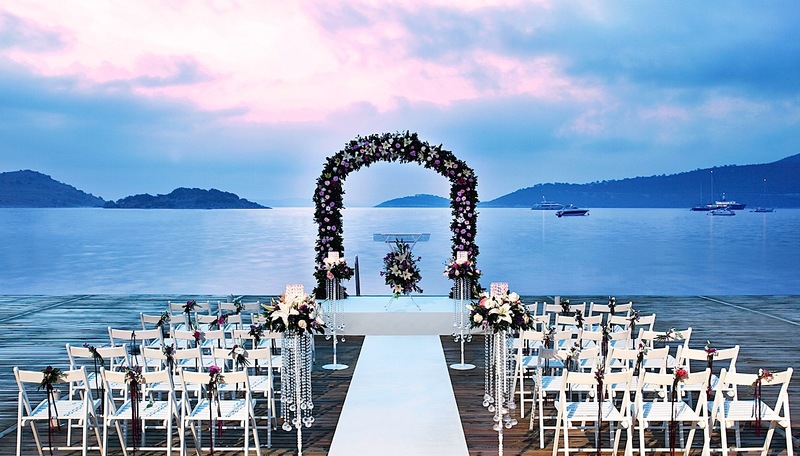 And then there is love in Bodrum … You have to experience it to truly understand the attraction of Bodrum. 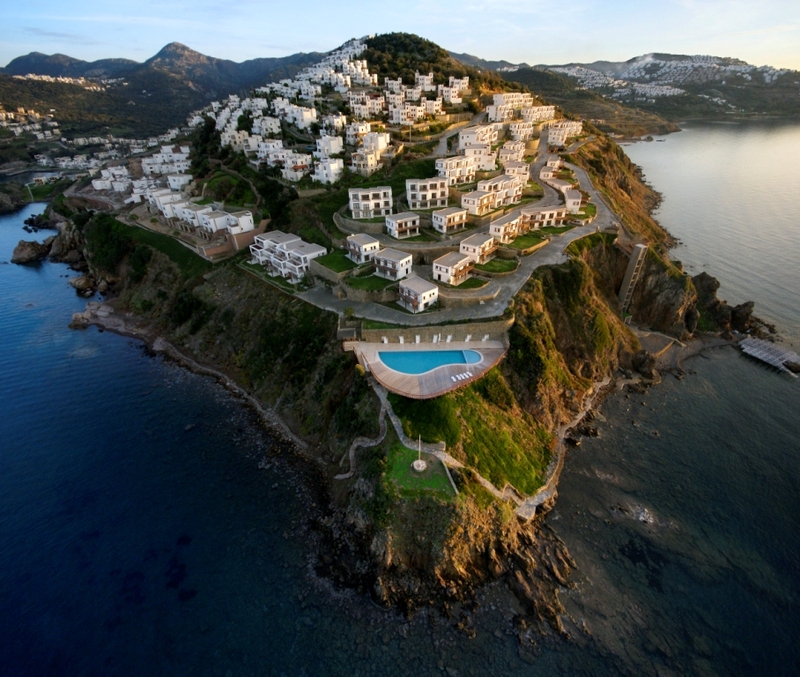 Bodrum retains its charm despite the crowds and development. Women feel more beautiful, men feel more intriguing. 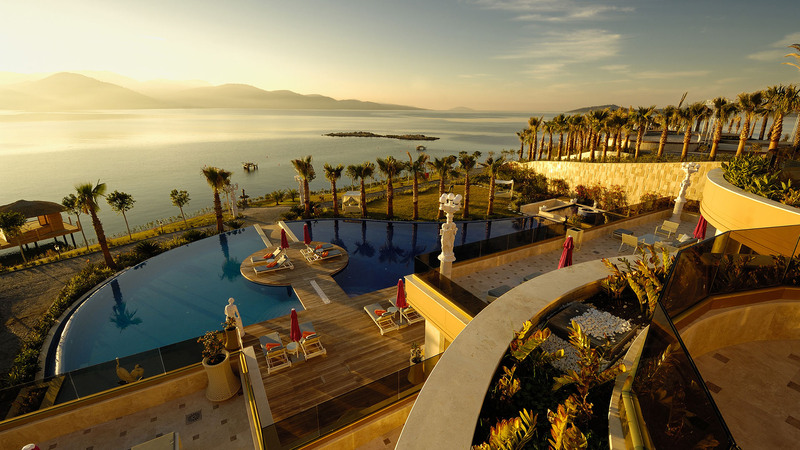 This is Bodrum’s spell. Bodrum: ’’the land of eternal blue’’, a stunning town both for its spectacular nature and variety of ruins with a history estimated to go back to the year 1000 BC. 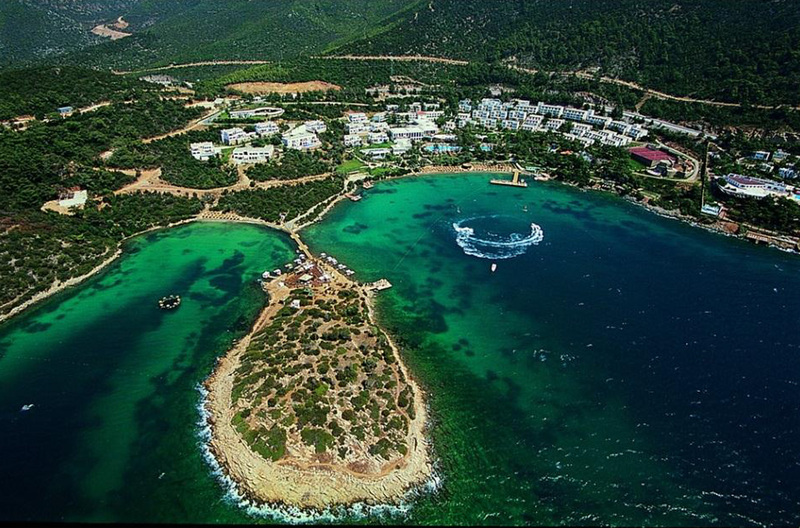 Bodrum is one of the magnificent bays of Muğla and among the most beautiful areas of the Aegean region. It offers different beauties to its visitors in every season. 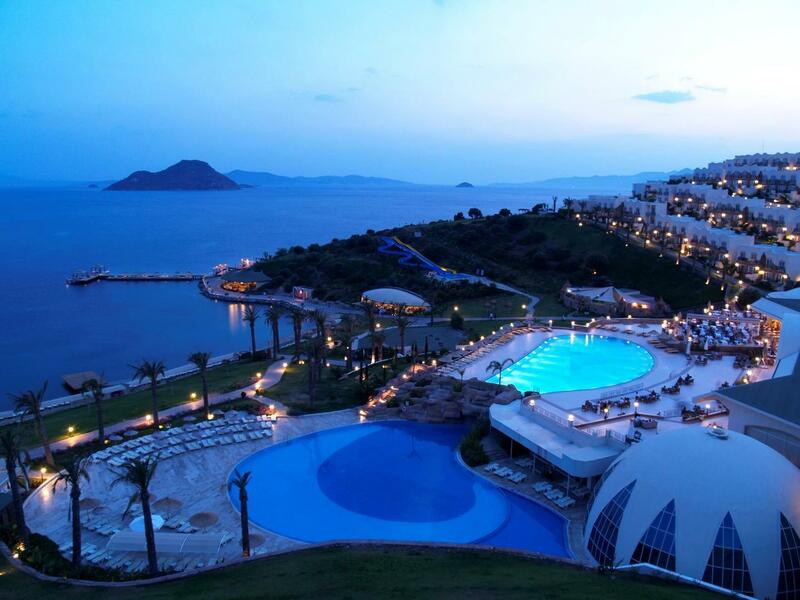 As soon as the sun sets in Bodrum, the sound of live music starts rising all over town. Often considered to be the nightlife capital of Turkey, Bodrum has enough discos and clubs on just one street - Cumhuriyet, nicknamed "Barstreet" - to keep the parties going late into the night and early into the morning. Follow the crowds and flashing neon lights and you’ll arrive in Halicarnas, a nightclub to end all nightclubs. If you don't let the line of people waiting to get in and the steep cover price discourage you, you'll get to hobnob with Turkey’s young and beautiful as well as dance the night away (or at least until 3:30 in the morning, when the action starts to wind down.) Halicarnas also puts on a light show that you can enjoy from the outside. Moored up just behind the castle is Club Catamaran,exactly what the name says- a huge boat that sails out at 01.00 returning just before dawn.You can dance the night away on the glass dance floor! Near to the morring point is Club Hadigari a well known venue for many types of live music and a little more low key than the previous twpo clubs. In addition to conventional nightclubs, the Turks have the meyhane , a place where yo ucan eat,drink,converse and generally make merry Turkish syle.. Going to a meyhane is like attending a concert, because crowds gather in front of the band and often start singing along. The Veli, among Bodrum's oldest bars, is one such place where you can hear a live band while sipping your drink.. The singers don’t arrive until midnight or later, so you may have to sacrifice sleep to truly appreciate this aspect of Bodrum.Many non Turks feel intimidated about going into these seemingly Turk only bastions but please don't be,everyone is made very welcome and even though you may not understand the words of the songs the cheery rhythms are guaranteed to get you up and dancing! Along by the marina there are several well known and more upscale bar/restaurants where you can watch the Turkish jet set at play.Bodrum has bars to suit all ages and all tastes,whether you want high energy dance or just a low key laid back intimate drink. The town's charm is well-known, attracting a diverse population of vacationers who stroll along its long palm-lined waterfront, while elegant yachts crowd the marina. Not far from town, you can swim in absolutely clear, tideless, warm seas. 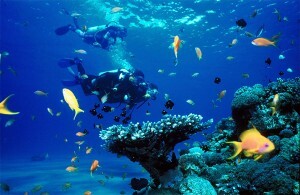 Underwater divers, especially, will want to explore the numerous reefs, caves and majestic rock formations. The waters offering an immense variety of aquatic life. The boatyards of Bodrum have been famous since ancient times and today the craftsmen still make the traditional types of yacht: the pointed bow and stern (tirhandil) and the broad beamed and rounded stern (gulette). The latter, especially, is used for excursions and pleasure trips. 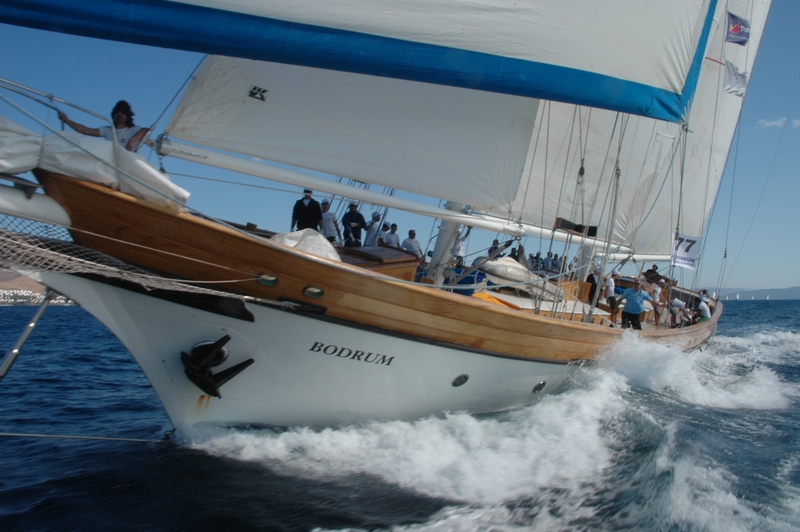 The gulette is also used in the Bodrum Cup Race held every October. 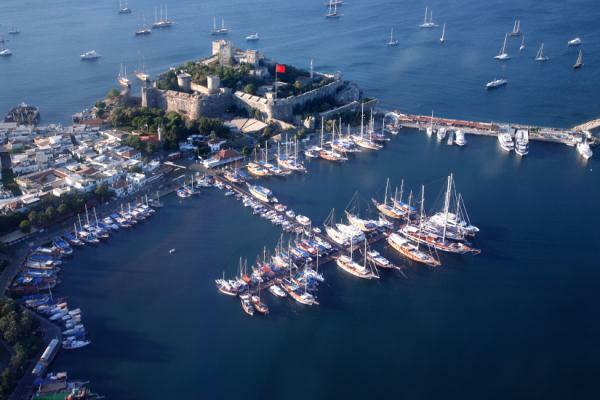 Bodrum also is South Aegean's prettiest resort for scuba diving, with a yacht harbour and a port for ferries. Bodrum has several dive centers that rent out equipment, arrange excursions and even provide diving lessons for the inexperienced individual, eager to try out this underwater sport. see activities. 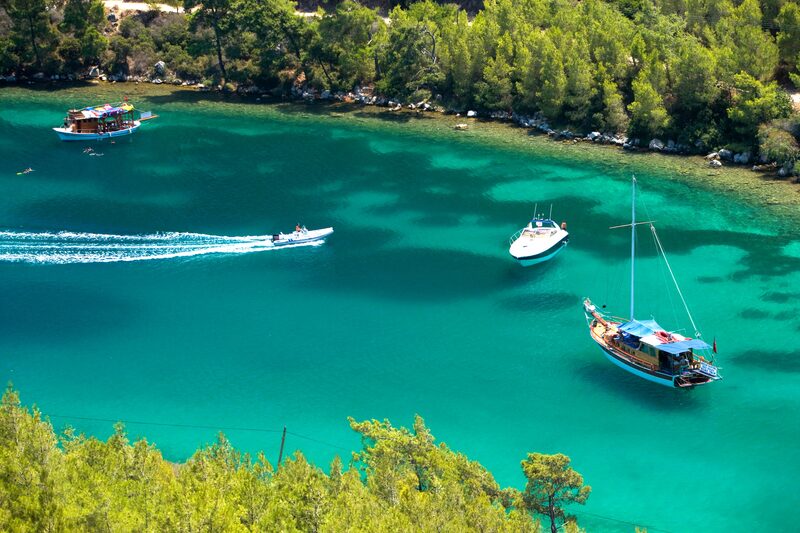 Bodrum is the one of the starting points for an unforgettable »Blue Cruise« (or 'Mavi Yolculuk'as it is called here) along the turquoise coast of the Gökova Gulf or down to Marmaris. Shopping makes a delight in Bodrum. Leather goods of all kinds, natural sponges and the local blue glass beads (the Boncuk) are among the bargains to be found in the friendly little shops along the narrow, white-walled streets. Charming boutiques offer kilims, carpets, sandals and embroidery as well as original fashions.